Remember your childhood when you went to a zoo and imitated the animals? Remember the times when your parents arranged a theme party for you and there was a man wearing an animal suit with whom you and your friends played around. Remember watching your favourite cartoon character and wishing that you could have the same dress and enact the same way. Everything was actually fun. But with the growing age things changed and all that fun was left behind. Even though today you like watching your kids doing the same thing, you wonder if you can relive those memories. Childhood memories are the best part of anyone’s life. The fantasies and wishes are very simple. If you are a person who has the same wishes, there is a great new thing for you. Kigurumi onesies are gaining popularity world over. Kigurumi onesie is putting in an attire of an animal or a particular character. These cover the arms and legs and have a hood as well. Earlier it was confined to entertainment in amusement parks and at parties for children. But the companies which are into manufacturing these onesies have analyzed that even adults would love to wear an animal outfit. Companies have ventured into this field and have received good response. They ensure that they manufacture Onesies of every possible animal to cater to everyone. The best part about these is the material used. Since the attire is one single piece from head to toe, it has to be very comfortable. Thus the company uses very soft material to make them. However, the material differs from one company to the other. Also, they keep in mind that the combination and pattern attract the consumer and therefore they always do in-depth study before introducing any product. Though these dresses are unisex, there are some characters that are meant specifically for men and others for women. This gives a lot of choice to the buyer and he can choose one which he had always admired in his childhood. The best part is that they are available in various sizes and a person can choose one according to his built and height. Also, the companies understand that single attire might not be enough for a person and he might like to buy different ones. Therefore, they have kept the prices reasonable so that a person can buy as many onesies as he wants to. Recently, these have become very popular amongst adults. These are not only worn during theme parties, festivals and carnivals, but also preferred when one is at home and spending a holiday with dear ones. In order to cater to all the desires of its customers, every company offers an array of animal Onesies. The variety includes animals of all sorts. However, a new dimension of fun is the character onesies. These are based on the famous cartoon characters starting from Winnie the Pooh, Mickey, Donald Duck etc. Companies keep adding new ones according to the popularity the character has gained amongst people. Therefore, one can easily find characters like Hello Kitty, Pikachu, Angry Bird etc. Thus, fun is not limited to childhood. You can relive all those desires and time with the animal and character onesies. If you are looking for Kigurumi Onesies, go online and you will find various websites offering them. 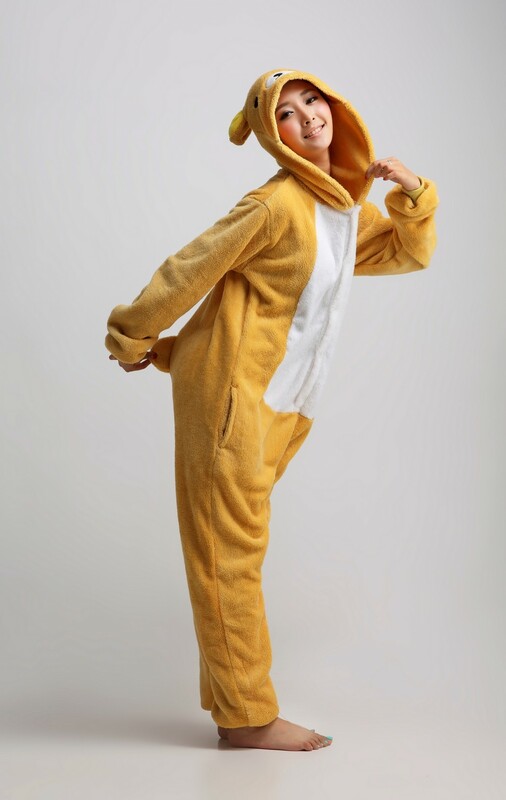 There will be onesies of all animals like a hamster onesie, and also character onesies to choose from. Only, remember to choose website which offers best quality.